The world has advanced by leaps and bounds. Thanks to modern technology; contacting people has taken a new turn. The popularity of electronic form of communication has brought the world a lot closer than our forefathers might have ever imagined. However, the essence of sending and receiving hand-written letters and cards has always had its own share of sweetness. But, then what do you do when you have no space to store them? After all, it is not so easy to part with priceless valuables like these. This blog is designed to help you stay organized, give you storage tips, and how beautifully you can display cards without putting in too much time and effort. Amass and classify: Combine and gather all the cards and store them in cabinets, dressers, closets, and junk drawers. However, make sure these are all placed into a single central location. If you don’t want to lose track of the cards you have received you can even classify them, and then hoard them up in closets and drawers. You can accordingly divide them as children's gift cards, family member cards, vouchers if any, etc. This way, it is a lot easier and convenient for anybody and everybody to look them up. Storage: You love your cards dearly, but if you feel there is just no place for you to accommodate them, worry not, because help is always at hand. You can save as many greeting cards as you like over the years with the help of storage companies. These companies will protect the cards against fading and will keep them for as long as you want. Flaunt it: Cards are beautiful, and when you have the space why not show-off? You can have different cards set up for different seasons. 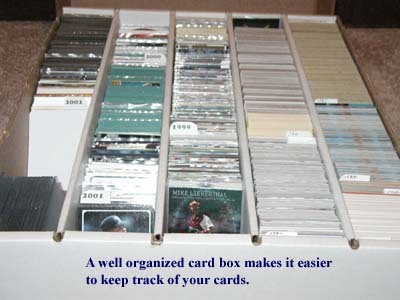 There are several ways to display cards apart from storing them. You could stack them up in small bins, string them over a mantelpiece, put them together in a basket; or simply hang them up with mini clips. It adds to the ambience and the place certainly has a more colourful appeal.